Designed by Philip Hardwick in 1835, the hall replaced an earlier building by Inigo Jones which had fallen into disrepair. 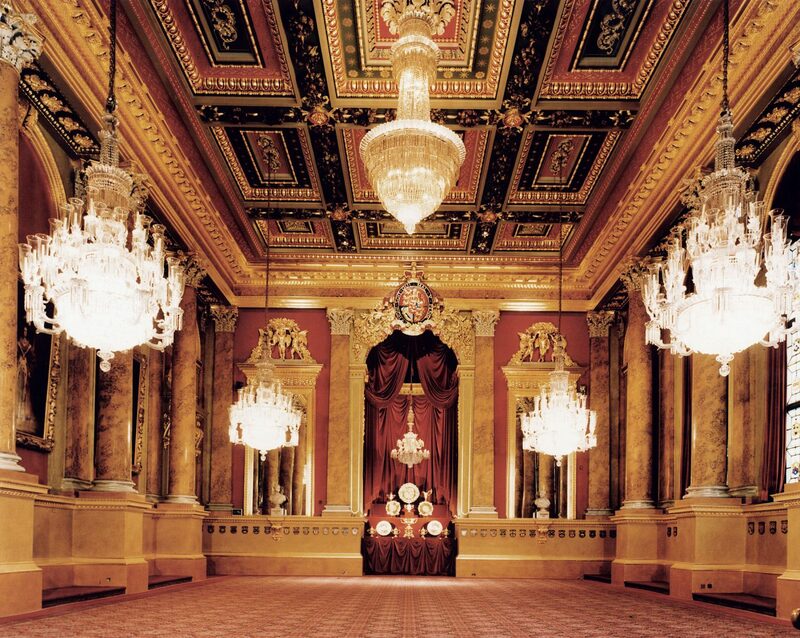 Goldsmiths’ Hall’s increased use for public functions, including exhibitions and concerts, led to our brief for replanning the inadequate services and accommodation and restoring the principal rooms. 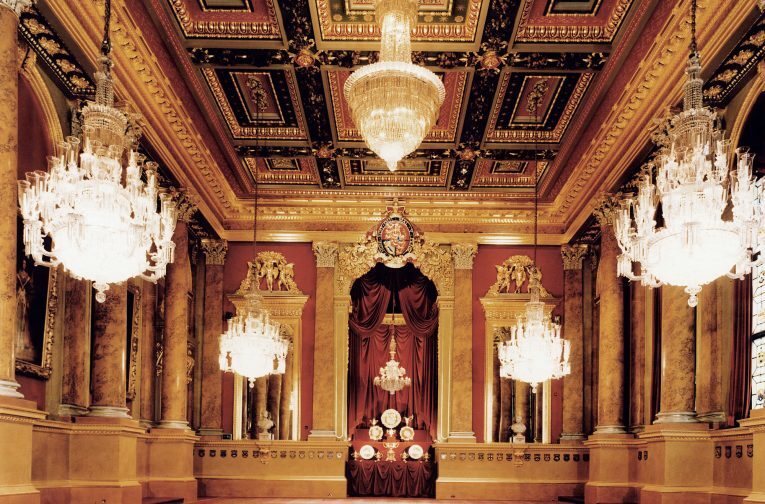 Donald Insall Associates fully restored the magnificent Livery Hall and State Rooms, with George Aitchison’s 1892 colour scheme recreated in the Livery Hall, a process which involved much gilding and decorative stencilling carried out by Campbell Smith & Co. 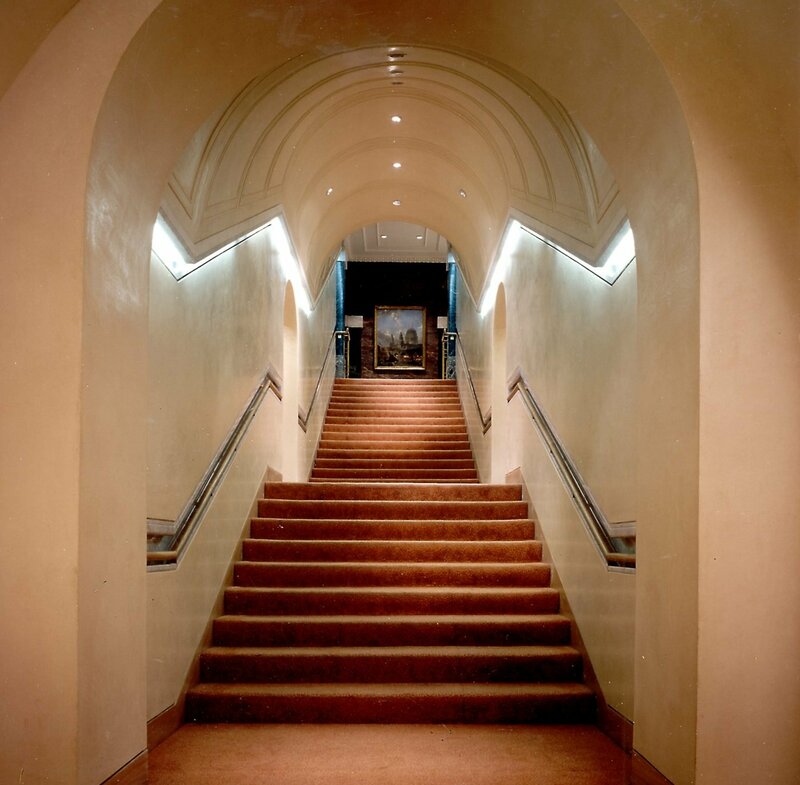 Opening part of the basement, previously storerooms and workshops, to public use required insertion of a new staircase leading from the imposing marble-clad entrance hall to the new spaces below. Our new staircase was placed discreetly below one wing of Hardwick’s principal staircase above, with small storerooms and a boiler house being demolished to make way for the new structure. Major technical obstacles were overcome, not least being the minimal allowance for movement of the marble cladding in the hall above required by English Heritage during the works. The basement now contains cloakrooms, green rooms, toilets and showers, all with specially designed light fittings.